Enjoy the comfort of Dr. Scholl's Diabetes & Circulatory Ankle Socks White XL - 6/pk that feature a non-binding top to allow circulation, moisture management yarn to keep feet dry, anti-microbial treatment to eliminate odor, seamless toe and cushioned sole for added comfort. This diabetic sock is APMA approved! Whether you have circulation issues or sensitivity in your feet and legs related to diabetes or just enjoy a comfortable sock that doesn’t irritate or create discomfort, Dr. Scholl’s Diabetes & Circulatory diabetic socks are prefect for you. Dr. Scholl’s diabetic socks have been given the American Podiatric Medical Association stamp of approval for being an exceptional sock to promote quality foot health! Since the inception of the Dr. Scholl’s® brand in 1906, one goal remains in the forefront of all product innovation...Comfort. Providing comfort to men and women, through Dr. Scholl’s® products, is our focus and we strive to bring much needed relief to your feet. The Dr. Scholl’s® brand continues to lead the way in foot comfort and technology and is proud to be the most trusted name in foot care! Dr. Scholl’s special sock weave construction combines the perfect amount of stretch to eliminate tightness around your leg without slipping down. 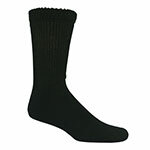 An important characteristic of a diabetic sock is the support provided to the bottom of the foot. Over time your foot’s natural cushion is depleted. That’s why a cushioned sole is so important to the comfort of your feet. Dr. Scholl’s Diabetes & Circulatory socks provide the prefect amount of cushion to help protect your foot while not creating a bulky irritation in your shoe. Nothing is more serious than moisture laden environments that breed harmful bacteria and fungi. Dr. Scholl’s diabetic socks are constructed with moisture management yarn that keeps feet dry by channeling moisture through the sock fabric to shorten drying time. 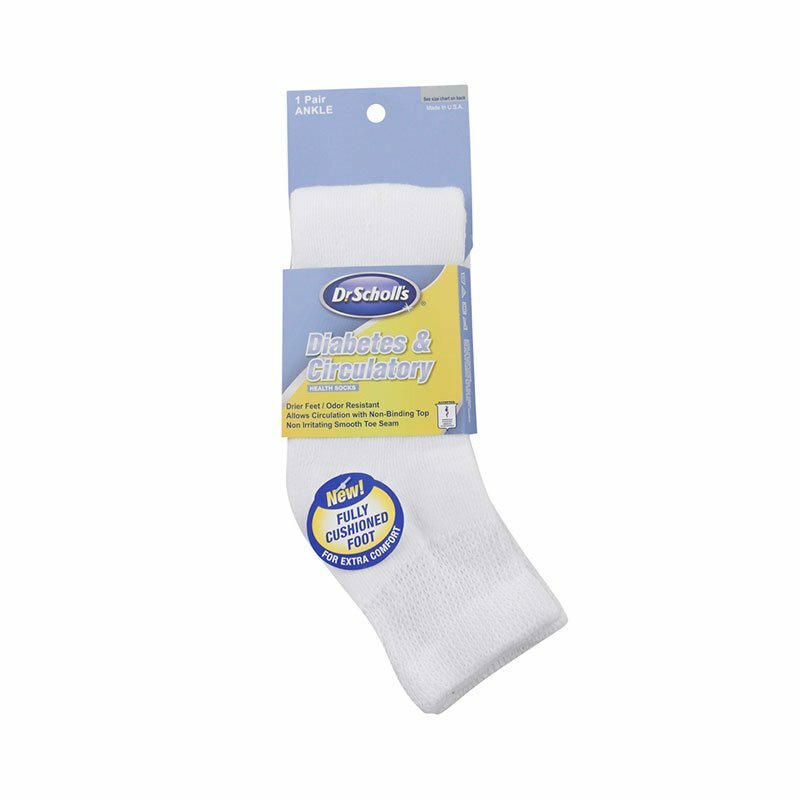 All Dr. Scholl’s socks come with anti-microbial protection that helps eliminate harmful odor causing bacteria on the sock. We add this to help keep your feet feeling fresh with every wear. Bulky toe seams can not only be a nuisance but a real problem for people with sensitive feet. 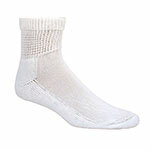 Dr. Scholl’s diabetic socks come with a smooth toe seam to add comfort and reduce irritation. Finally a sock that feels like it was constructed specifically for your foot! Careful construction softly embraces feet to provide ultimate comfort and guaranteed to stay in place.